Parents come in at Nimhans centre in Bangalore saying teens showing academic decline or withdrawing from family. On the ground floor of a nondescript, two-storey building in the BTM Layout neighbourhood of India’s silicon capital Bangalore is the country’s first technology de-addiction clinic. Parents trickle into the newly opened centre run by India’s premier mental health hospital, the National Institute of Mental Health & Neuro Sciences (Nimhans), seeking treatment for their teenagers’ obsession for social networking and instant chatting sites, texting and mobile games. Doctors say the issues arriving at their doorstep are wide-ranging but parental concern stems from two immediate symptoms — children showing steep academic decline or withdrawing from family and social interactions. 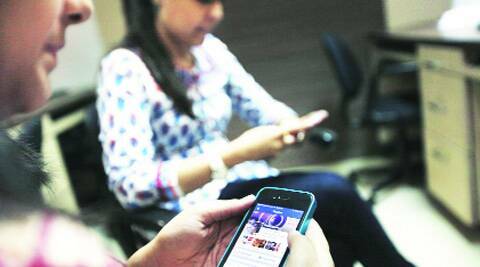 “Parents lament that their son or daughter is spending far too much time on the smartphone, or posting numerous photos on Facebook, or complaining of anxiety, loneliness and boredom when denied use of the device,” said Dr Manoj Kumar Sharma, associate professor in the Department of Clinical Psychology at Nimhans, one of the doctors running the tech de-addiction clinic. No national statistics are available but Nimhans earlier this year screened 400 teenagers in Bangalore, from expensive private schools to government-run schools. The survey confirmed they were spending inordinate time on mobile phones, social networks and multi-player online games. A year-long study funded by the Indian Council for Medical Research last year on 2,750 subjects in the age group of 18-40 years in select urban communities across India too had showed an alarming rate of technology dependence. A national-level study on tech addiction in urban India is in the works. The tech de-addiction clinic in Bangalore was launched a month ago when doctors decided that the affliction required a clinical set-up to diagnose and suggest therapy measures. The cases coming in are diverse, though the underlying problem is the same. A 16-year-old girl’s parents bemoan that overuse of Facebook has completely disrupted their daughter’s relationships in the family. A ninth grader’s parents were shocked to discover that their son constantly craved chat sites during the time he was ‘studying’. An older teenager locked himself up every weekend with his smart phone and had no time for any ‘offline’ interaction. Technology addiction or internet addiction is recognised by mental health professionals as akin to addictive disorders concerning drugs or alcohol. It is the propensity to excessively engage in activities involving the cellphone, internet and social networking sites to the detriment of one’s health, social life or mental state. Teenagers are particularly prone to the addiction, which manifests itself in acts like constantly checking instant messaging apps, frequently changing status messages and profile photos on social networks, and uploading selfies daily. In many cases, the addiction leads to insomnia, depression and social withdrawal. Awareness is only now sinking in that such technology craving is abnormal. Experts say these cases are likely to be the tip of the iceberg in a country where smart phones and tablets are being adopted at a roaring pace. This week in Bangalore, newspapers reported about a 13-year-old who hanged herself after her mother asked her to delete her Facebook account. The problem is only expected to worsen. Telecom giant Ericsson has said that India would have 500 million mobile broadband users by 2020, a four-fold jump from the current levels. The country’s mobile user base is forecast to grow to 1.14 billion by 2020 from 795 million in 2013. Facebook just crossed 100 million users in the country. “These days in urban India, younger and younger children have access to smart phones, even two-year olds are encouraged to use tablets,” noted Dr Vivek Benegal, a professor of psychiatry at the Centre for Addiction Medicine at Nimhans. While the prevalence of the addiction has been surveyed in small pockets so far, evidence indicates it is widespread. “Psychologists and psychiatrists are reporting higher numbers of children brought in with problems related to excessive use of technology,” Dr Benegal said. Dr Neena David, a clinical psychologist associated with several leading schools of Bangalore, says the incidence of technology addiction amongst schoolgoing children is as stark as a “white to black shift” from as recently as four years ago. “Parents say they are unable to exert authority to unplug or withhold their kids’ use of devices and are very conscious of this lack of control,” said Dr David. Many parents still prefer to seek online and telephone-based help anonymously. Dr Sharma said he receives queries about constant texting and posting of selfies on social networks, and obsession with multi-user games. Reputed Bangalore schools too have begun to seek expert help, including asking Nimhans to train their student counsellors and to hold awareness camps for students, as well as to screen and rehabilitate the obsessive users amongst them.